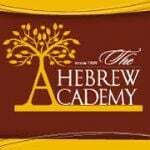 Events & Blogs "Upper School Corner"
At The Hebrew Academy, we pride ourselves on continuing education for all of our staff to stay at the forefront of education and learning. We value the professional development of our staff to learn new ways to incorporate ideas and tackle challenges in the classrooms so our students can get the very best of our teachers, the environment and the general and Judaic material we are teaching. Our principal, Dr. Bryn Harari, attended the National Conference of the Prizmah Center for Jewish Day Schools last week. Over 1,000 professionals came from North and South America to learn together for 3 days about current and upcoming educational trends and initiatives. The conference covered initiatives like Project Based Learning, Universal Design for Learning, relationship-based teaching, individualized education, and STEM (Science, Technology, Engineering, and Math). All of these have been rolled out throughout the school in the past few years. Showing we are on the forefront of educational trends for the coming generation of learners.